HONG KONG, September 16. /TASS/. At least 111 people on Sunday sought medical help in Hong Kong, which fell under severe Typhoon Mangkhut, according to RTHK. "At its strongest, it packed sustained winds of up to 189 kilometres per hour, toppling cranes, scaffolding, trees, signposts and more, as it skirted within 100 kilometres of the city. Low-lying areas, including Lei Yue Mun, Heng Fa Chuen, and Tai O were flooded, and authorities reported that at least 111 people sought medical attention in hospital during the storm," RTHK said. 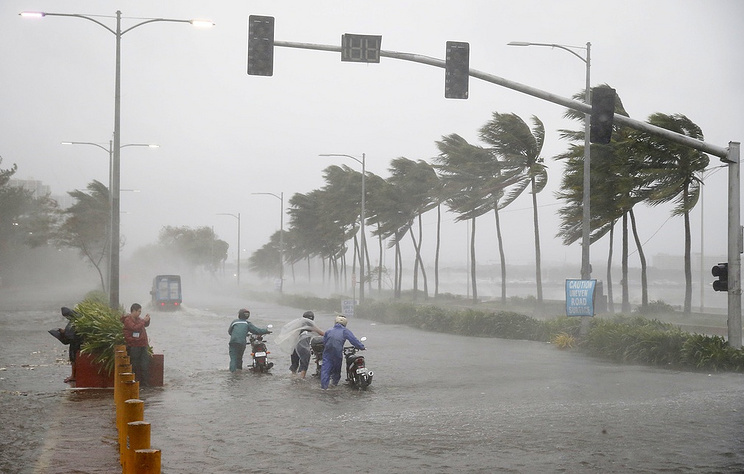 Typhoon Mangkhut is forecast to make landfall over the coast to the west of the Pearl River Estuary early on Sunday evening, but the Hurricane Signal Number 10 is expected to remain in force for several hours.